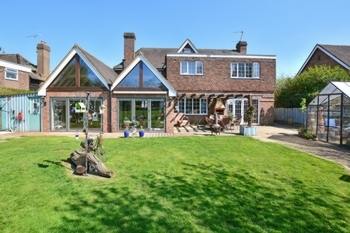 A four/five bedroom property sitting within an enviable plot close to Rusper Golf Club. 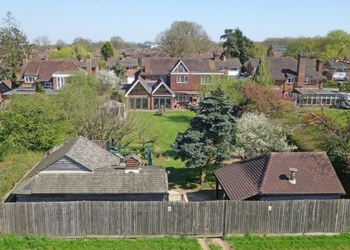 The property has undergone a vast programme of refurbishment and extension and has been lovingly re-planned to make the most of its internal space. 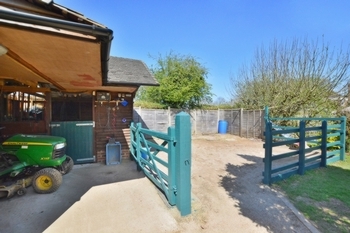 The house makes an ideal family home for people needing to be not too far from a Train Station yet crave the semi-rural countryside nearby. 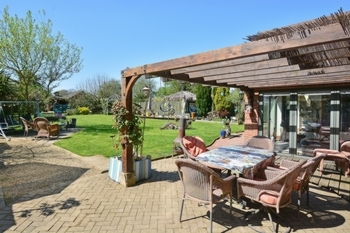 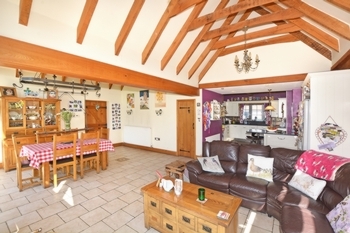 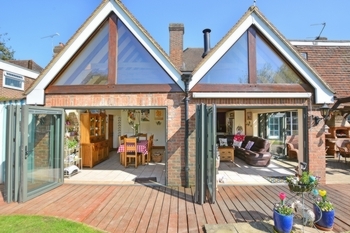 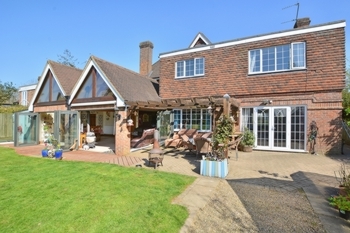 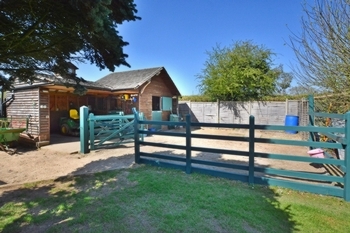 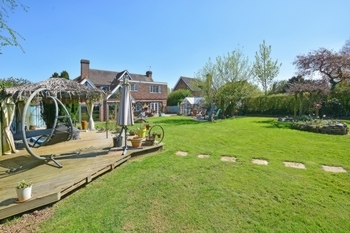 The property also features a double vaulted ceiling extension, garden spa, stables and work shop. 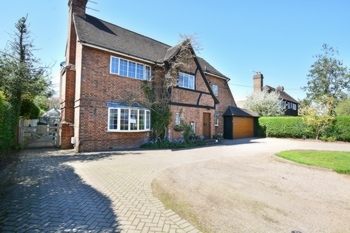 Driving onto the brick block driveway you will find there is adequate space for six cars. 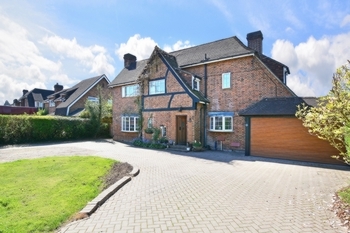 On entering 'Marden' you walk into the entrance hall with a turning staircase leading to the first floor and doors to sitting room and open plan kitchen/family room/dining room. 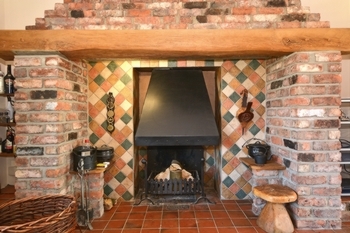 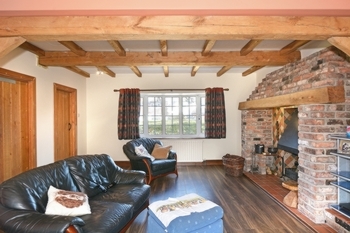 To the left of the entrance hall is the substantial 23'3" x 15'7" sitting room which boasts a double aspect view and a feature exposed brick Inglenook Fireplace with solid oak beam lintel inset tiling, quarry tiled hearth and cast iron cradle with canopy over. 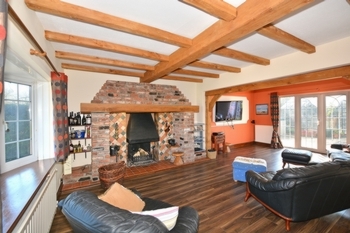 The room offers excellent relaxation space yet equally makes an ideal room for entertaining. 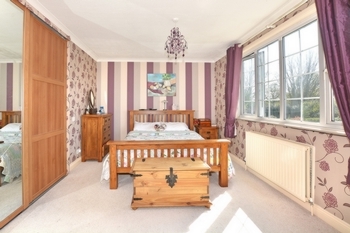 Accessed from the sitting room is the 17'10"x10'4" study / playroom which has windows that overlook the rear garden. 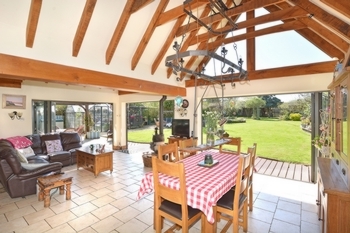 To the rear of the property sits the fabulous open plan kitchen/family/dining room with glazed vaulted ceilings and three sets of bio-folding doors all which leads directly out to the rear garden. 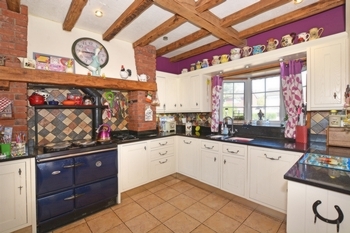 The kitchen provides a generous range of base and eye level units which are complimented by Granite work surface surround which continues through to the built in breakfast bar. 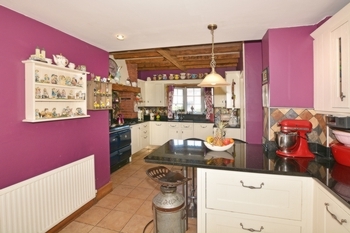 Keeping in style with the period of the property there is an exposed brick recess for the 'Stanley Aga' with separate two ring gas hob and extractor fans. 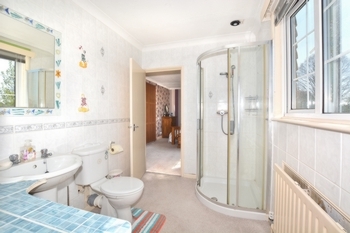 There is a built in dishwasher and space is provided for a fridge-freezer. 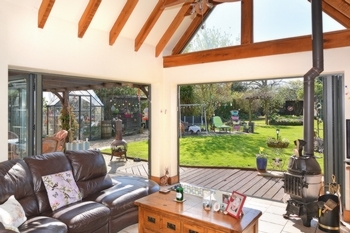 Within the family area space is provided for free standing sofas and furniture with views over the garden. 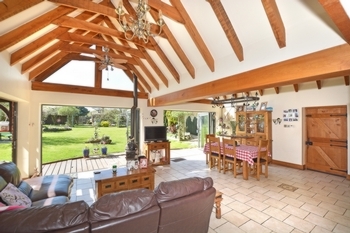 The dining area sits below the glazed double vaulted ceiling which allows plenty of natural light to flow through. 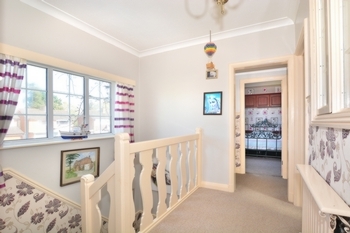 There is ample space for a ten seater dining room table and chairs ideal for family events or entertaining friends. 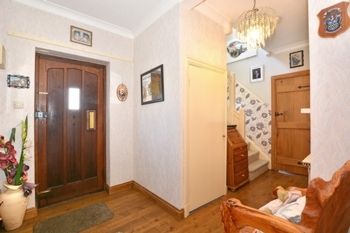 A door within the dining area accesses the utility room and double garage. 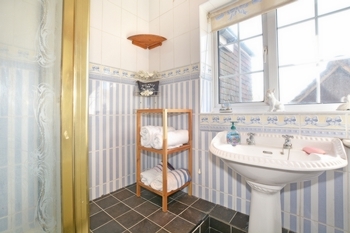 Within the utility room there are base level storage units with an inset sink, space and plumbing is provided for a washing machine and tumble dryer and a door access the rear garden. 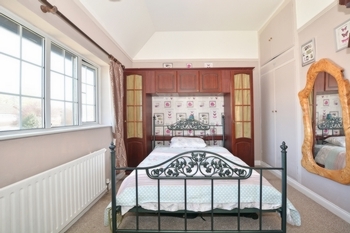 The Master bedroom suite comes with its own en-suite. 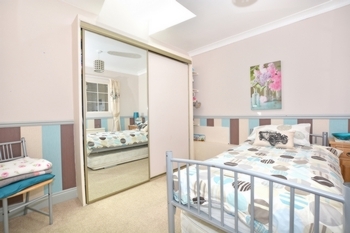 The 15'7" Master bedroom area can comfortably hold a King size bed and benefits form a double built in wardrobe yet still gives space for free standing bedroom furniture. 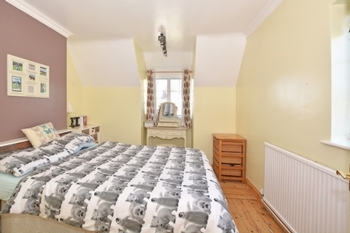 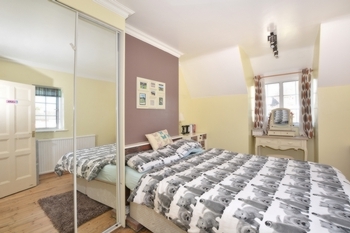 Bedroom two is located at the front of the property house and benefits from fitted wardrobes. 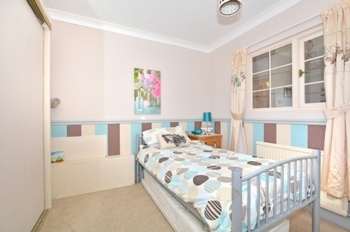 Bedrooms three, four are double bedrooms and there is also a separate shower and w/c serving the same. 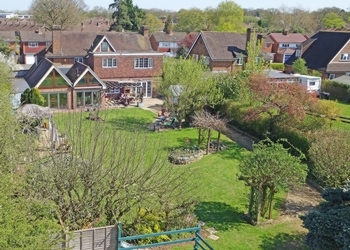 The mature gardens offer a high degree of seclusion, making it an absolutely ideal garden for entertaining and for children. 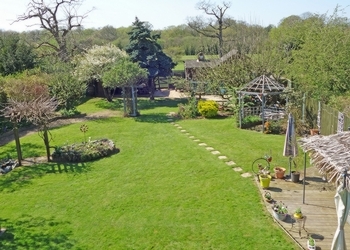 There is a large area of lawn to the rear of the house, being edged with many mature trees and hedgerow. 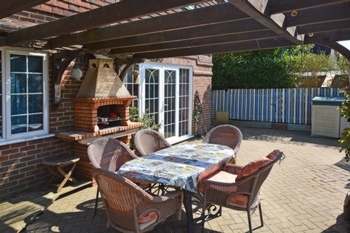 Within the garden there is a sizeable patio which can be accessed from all major ground floor rooms. 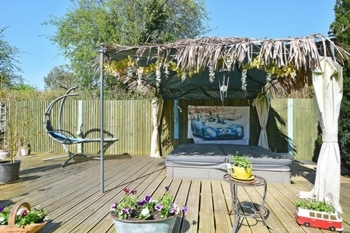 The garden also holds a thatched Gazebo with seating and a table as well as Spa area with low level hot-tub and outside shower facilities. 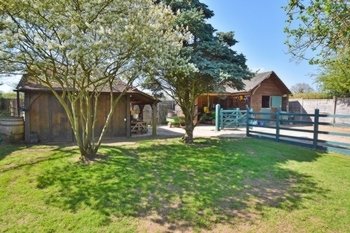 To the rear of the garden there is a timber built workshop with covered log store and stables with a fenced holding pen. 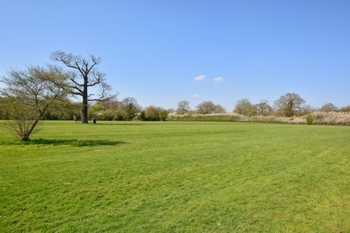 A rear gate access the Rusper playing fields which are part of the Conservation Area. 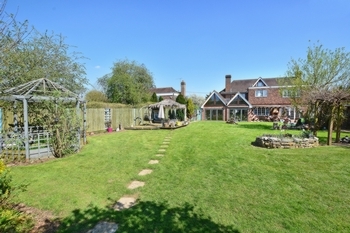 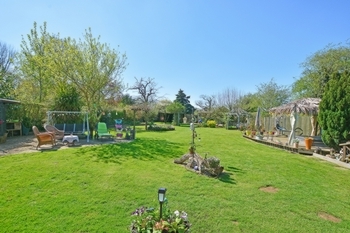 To the front of the house there is an extremely generous area of parking and mature hedgerow. 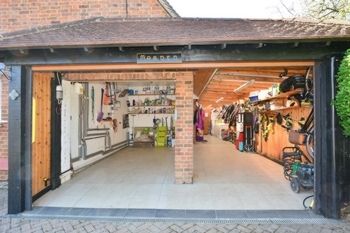 The integral double garage can be accessed from the parking area and opens internally via an electric roller door.